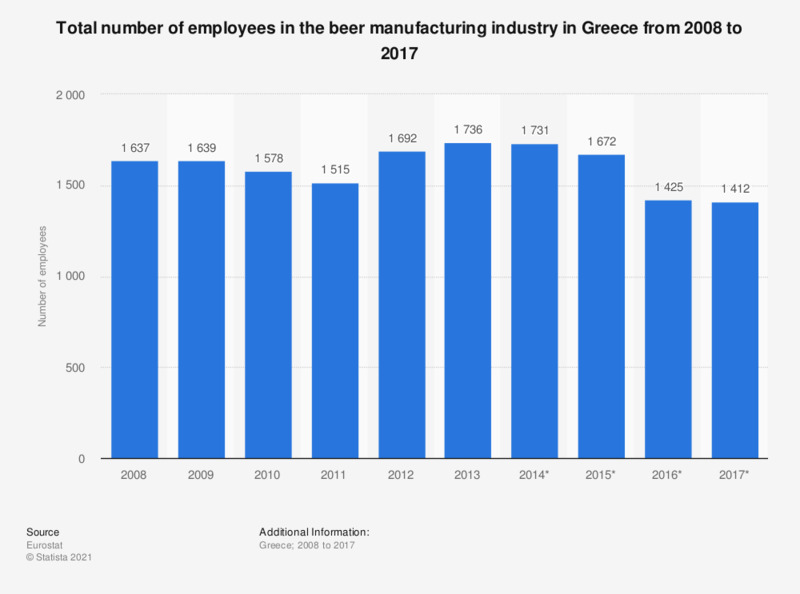 This statistic shows the number of employees working in the manufacture of beer in Greece from 2008 to 2014. In 2014, the number of employees in the beer manufacturing industry was approximately 1.7 thousand. Data coverage corresponds to Section C1105 of NACE Rev. 2.